Individualized skin solution Each individual’s skin is different but why all the same diagnosis? 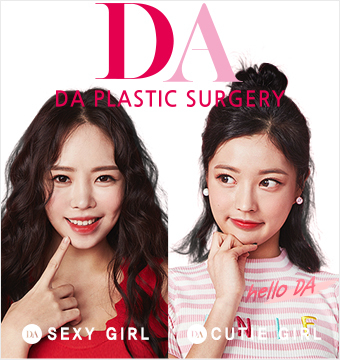 It’s time to effectively improve your skin with DA’s Whitening Program! Skin Whitening Care Can improving only blemishes be called whitening? Improving the overall skin tone, skin glow, elasticity and skin pore is the ultimate whitening effect. Personalized treatment plan based on skin condition Planning the next step after seeing the results of skin treatment can result in more effective whitening results. Long lasting due to continuous care Skin continues to age and pigmentation occurs due to external factors. Slow down aging with DA’s personalized whitening program that is fit for each individual’s aging process. Clarity Clarity is a comprehensive laser equipment that has two independent wavelengths in one system. Using two separate wavelength that gets absorbed into various tissues, it shows better effects on pigmentation related skin conditions and also improve redness, pores and elasticity at the same time. Spectra Spectra laser toning does not only clear malignant spots, it also treats abnom and hyperpigmentation to make the skin tone clear. Also, it stimulates fibroblasts that generate collagen to treat pores and achieve lifting effects at the same time. Bellasonic Supplying moisture to the deepest layer of skin by high and low dual ultrasound wavelength to show immediate effect. It helps absorb highly concentrated peptide (Low molecule collagen/hyalruonic acid) into the skin layer to improve skin regeneration and elasticity and it has virtually no stimulation so it can be performed on sensitive, dry and reddish skin. C02 Laser C02 Laser is a carbon dioxide laser that uses 1060nm wavelength, used on moles, blotches, tattoos and various scar treatments and reacts well to hydrated skin tissues. Action 2 Action 2 is a dual fractional that minimized heat damage to minimize infection during scar recovery period and shorten the recovery time and maximize the results. It peels away the protruded area of the scar to make it smoother. Ionzyme Providing necessary nutrients to the skin and penetrate Vitamin A, C, AHA into the skin to improve skin elasticity. It also helps prevent pigmentation and freckles. Unlike Vital Iont which penetrates only vitamins into the skin, Ionzyme prepares the skin with peeling substance to ready the skin before vitamin is penetrated into the skin. Vital Iont Vital Iont activates Vitamin C and transforms it into anion and penetrating highly concentrated activated ionized Vitamin C deep into the skin. There are no damages to the skin after treatment and face washing and applying make up is allowed immediately after surgery. It helps with freckles, fine wrinkles and skin aging. Skin Peeling Removing impurities and dead skin cells by choosing the appropriate treatment such as chemical, natural based products or laser treatments, based on the patient’s skin type and issues.